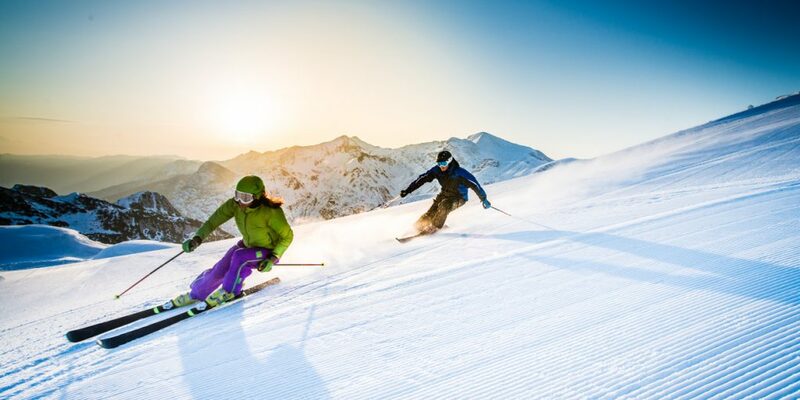 If you’ve grabbed a late-season Easter ski-bargain, there’s one thing that should be top of your to-do list before you go: book decent travel insurance that includes winter sports. Most holiday insurance policies cover you for similar types of things, such as theft or loss of possessions, medical attention and travel delays or cancellations. And you may already pay annually for year-round cover, or have it provided via your bank, credit card provider or home insurer, but be very careful; many travel policies specifically exclude winter/snow sports. Skiing and snowboarding carry a relatively high risk of injury. If you add in the potential for travel chaos and resort closure due to bad weather, going without travel cover is borderline madness. If you’re not to be left stranded in a snow-bound resort without compensation, here’s a number of things to be aware of when comparing travel insurance that includes winter sports. Check that you’re happy with the maximum sums the policy will pay out. Many offer blanket cover of up to £1million, but it can vary hugely between providers. Policies differ considerably when it comes to cover for medical costs. From hospital bills to rehabilitation and provision for additional accommodation, you should ensure you’re happy with the level of cover. Will the policy cover the cost of emergency repatriation? Will the insurer organize it for you? Some do, plenty don’t. Bear in mind a standard air ambulance transporting you back from the French Alps costs a whopping £15,000 to £20,000. Bad weather is, of course, an ongoing risk when on a ski holiday. If you’re concerned, make sure your policy covers you for in-resort piste closures as well as being snowed-in and missing travel connections. Nearly all ski policies cover you for holidays which are cancelled, or travel plans changed, due to bad weather (as well as the usual unforeseen circumstances, such as serious illness). But the level of cover, as well as claims procedures, can be very different. Some travel policies won’t cover you if you accidentally injure another person on the slopes. Keep in mind that litigation can result in huge claims being awarded against you. Ski equipment can be very expensive and, as with everyday possessions, insurers expect you to take ‘reasonable’ care of it. So a claim for a brand new pair of £600 Solomon skis will probably be rejected if you left them outside after an intense après-ski session! Some policies, usually the cheaper ones, include snow sports cover for Europe, but not North America. This is nearly always because the cost of medical attention there is hugely more expensive there. Policy Expert is an insurance provider and broker, dedicated to helping customers find the insurance policy that’s right for them. Our customers are at the heart of everything we do, and we’re driven by a desire to help you find not only the best value insurance, but the right insurance for your individual needs. For more information, you can call our experts on 0330 0600 600 or visit www.policyexpert.co.uk/contact for more ways to reach us.